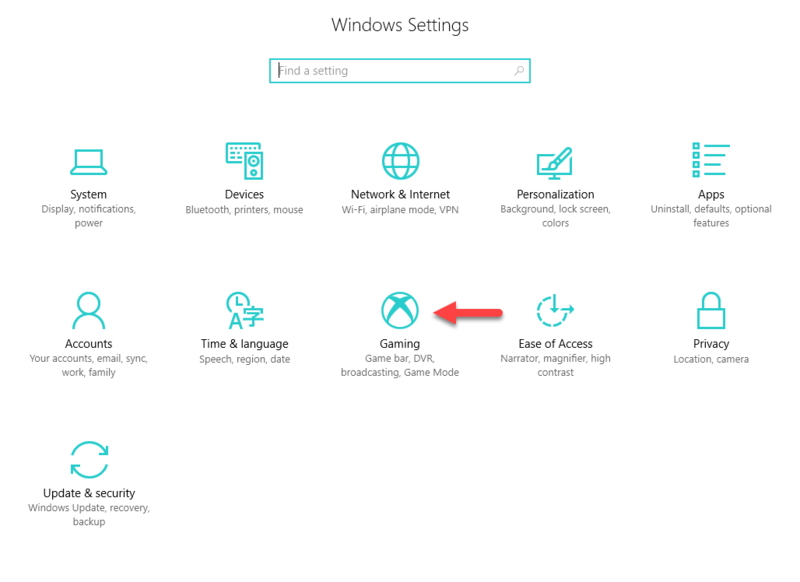 The Windows 10 Game bar is enabled. If either of the settings above are enabled, you will need to disable them. 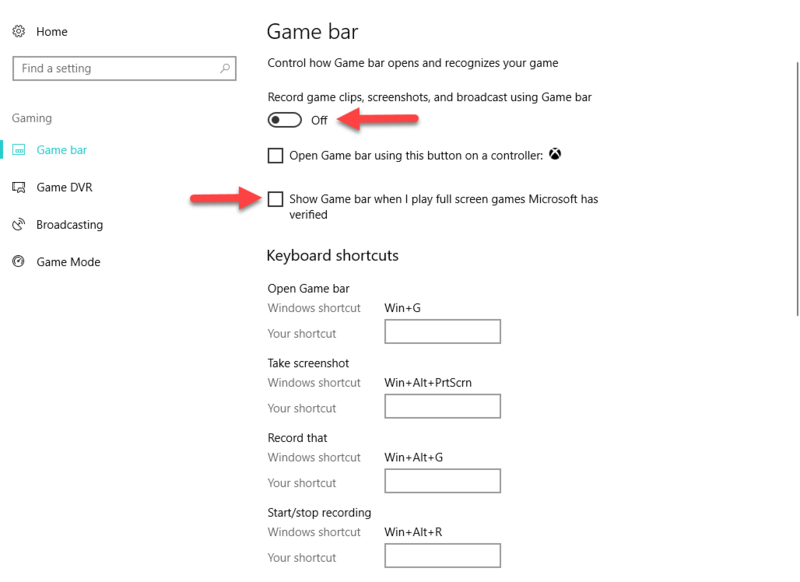 2) From Settings, select "Gaming"
3) Select Game bar from the left hand column. Check that "Record game clips, screenshots, and broadcast using Game bar" is off. Uncheck "Show Game bar when I play full screen games Microsoft has verified. 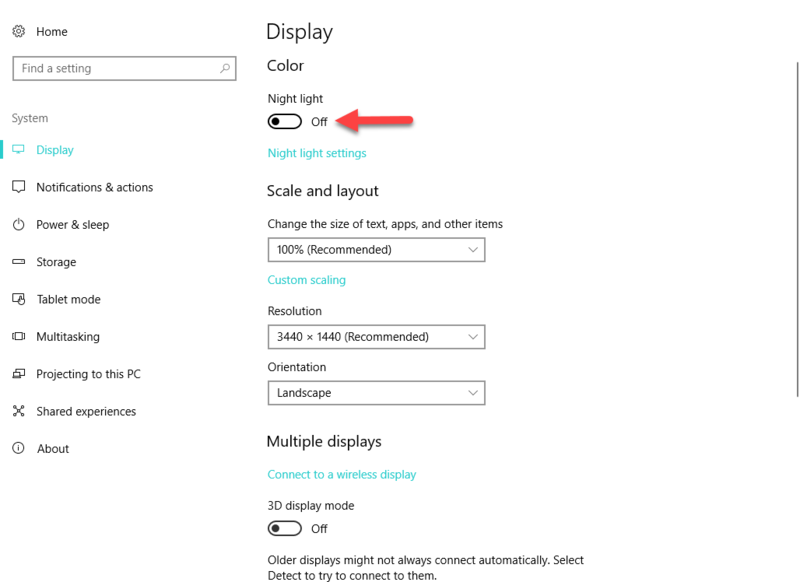 3) If Night Light is On, click on the slider to move it to Off. 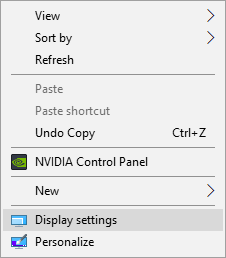 Profiles menu bar option is no longer available in the NVIDIA Control Panel.